I am very proud of my 13 year old niece who is head girl at her school. A couple of days ago she mentioned to me that in order to be recognised as leaders, pupils at her school need to achieve the '5 A's'. Feeling intrigued, I asked her to explain what the 5 A's stand for and mean. What she told me was so relevant for adults in professional, business environments that I decided to make it the subject of this blog. I share their meaning and add my own take on it - in no particular order. Please feel free to feedback your own views! A#1 is for Attitude - Whether you call it attitude, approach or mindset, this to me has to do with the way people behave in different circumstances - particularly the difficult ones - and behavewith others. Having a positive attitude is an absolute must if you want people to trust you and engage with you as a leader. A positive attitude is not about being naive or indeed simply about seeing the glass always half full. To me is much more about the way in which one embraces life, in both a personal and professional capacity. More specifically it is about the way in which one embrace challenges, opportunity and change. A positive attitude will enable you to take challenges in your stride, see change as a the chance to make the difference and opportunity as the chance to make an impact. A#2 is for Assertiveness - I really like the fact that Assertiveness is being considered an essential aspect of leadership. As leadership is almost inevitably linked to strong communication skills, choosing assertiveness sends a strong message about what style of communication is appropriate for a leader. It is not about alpha-male, testosterone filled communication, nor an aggressive female equivalent. It is actually about a way to communicate that is respectful, two ways, inclusive and win-win inclined, but that does not shy away from 'straight' talking, from telling things as they are: seen, experienced and felt. 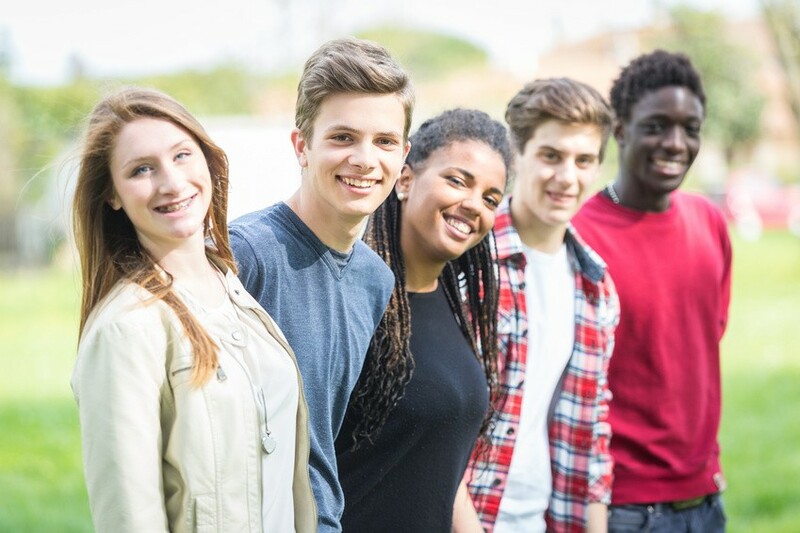 Developing assertiveness from a younger age is crucial to building sustainable and long lasting relationships and particularly for teenagers who are preparing themselves for the world of work. Yet I regularly encounter women who worry about being judged as 'bossy' rathen than assertive. Or women who so often deny themselves the right to articulate their views and their feelings that they swing from passive to aggressive communications and inevitably lose out by appearing out of control. A#3 is for Associates - Who do you hang out with? It is common sense, it is perhaps old-fashion wisdom, but absolutely worth including in the list in my view. As a teenager it is about your friends and peers, later on as adults in a professional environment this is about the people you choose to spend time with, the staff you are able to hire, the colleagues you call upon for an important project. Great business leaders are known to surround themselves with successful people, who are possibly better than them in many ways and can in turn secure their success. They select people who have the attitude they need to make things happen, motivate and drive others. They also positively seek out diversity, do not feel threatened by others' brilliancy and enjoy seeing young talent develop and fluorish under their positive guidance.These leaders enjoy mentoring but are also open to being mentored as they appreciate that learning can happen at many levels and it is not just linked to seniority or hierarchy. A#4 is for Attentiveness - Attentiveness to me has a very extensive meaning and it is overall an incrediby important leadership quality - dare I say perhaps it is the most important? I associate attentiveness to thoughtfulness, kindness and politeness. Just like an attentive host takes care of his/her guests, ensuring their requirements are satified while in his/her care, so an attentive leader takes care of his/her community, staff and people in general, caring for their well being and nurturing their needs.In order to be an attentive leader one must firstly be an emotionally intelligent leader, thus capable of empathising, communicating openly, tapping into people emotions and building rapport. Secondly, Attentiveness is about being alert, being in the present moment, hence it could be otherwise called mindfulness. This is the key to connect deeply with others and build their trust by enhancing one's ability to focus, achieve clarity and - as suggested in an article published by Harvard Business School - appreciate one's feeling and emotions and how they impact others. A#5 is for Appearence - True, one should not judge a book by its cover. However, humans tend to form opinions about people in a matter of seconds and once that opinion has been formed it tends to stick. Therefore, Appearence can have a huge impact on perceived leadership: whether one's look is judged appropriate, whether somebody comes across as tidy, immaculately dressed or otherwise can determine his/her ability to impact others. What is more, Appearence can support your leadership quest by helping you to 'act and think' the leader one wishes to become - in simple terms helping one to ' look the part'. But actually there is more to be said on this. In my opinion, Appearence is by extension about your Personal Branding, a much broader combination of one's look, communication style, natural impact, behaviour, mannerism, expertise, knowledge and more. With leadership, integrity and authenticity must be at the core of this Personal Branding. Having the right look but not 'walking the talk' will forever undermine one's personal branding and any perceived or achieved leadership position. It is impressive to think that, young teenagers are capable of achieving these standards and even more that, as young leaders, they are judged on such stringent criterias by their teachers and peers. I am not sure as to how many so called business leaders today would actually pass the 5A's test! This notwithstanding, I believe that this relatively short list includes almost all attributes and qualities we would wish to see in our leaders and would love to develop for ourselves. The fact that current young generations may have worked through this list will hopefully bode well for future generations of CEOs, entrepreneurs and senior professionals. Leadership is a crucial part of our life, it helps to build confidence, improve our strategies, and build a strong personality. Therefore, it is very much essential to learn some essential ingredients from experts regarding leadership building and development. This is not a by birth quality, we have to develop this quality in our personality and apart from that, we should also take some beneficial lessons from experts and from their stories. Thanks for updating such important topics.